Discover how Kärcher can make a difference in your home. IVS 100/55 M 15737220 https://www.kaercher.com/tn/professional/industrial-vacuums/vacuums-for-heavy-duty-use/ivs-100-55-m-15737220.html The IVS 100/55 M super-class industrial vacuum for removing very large quantities of fine dusts that are hazardous to health. With dust class M certificate and 5.5 kW side channel blower. 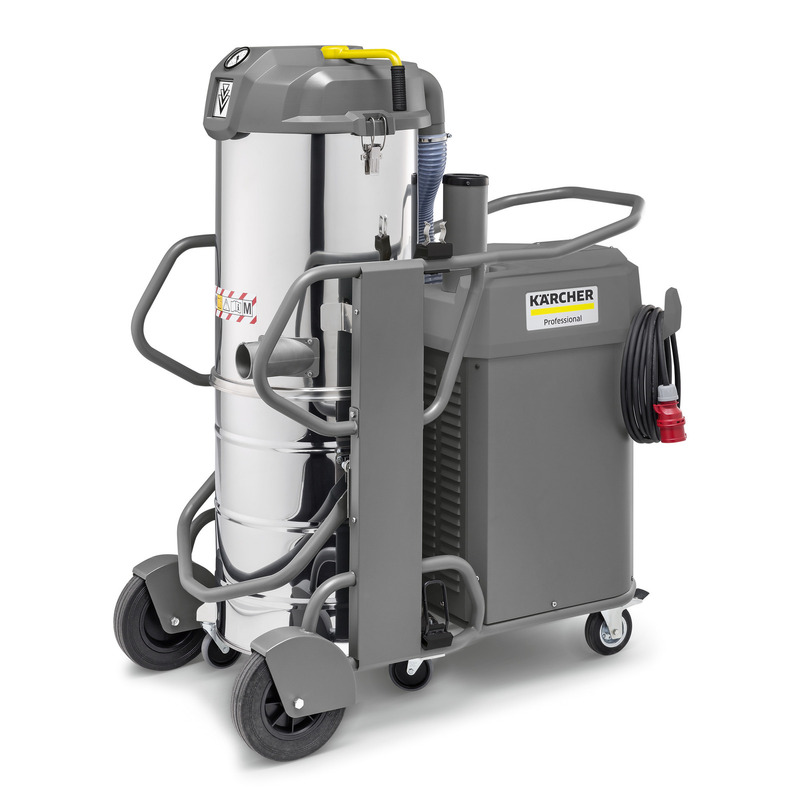 The IVS 100/55 M super-class industrial vacuum for removing very large quantities of fine dusts that are hazardous to health. With dust class M certificate and 5.5 kW side channel blower. 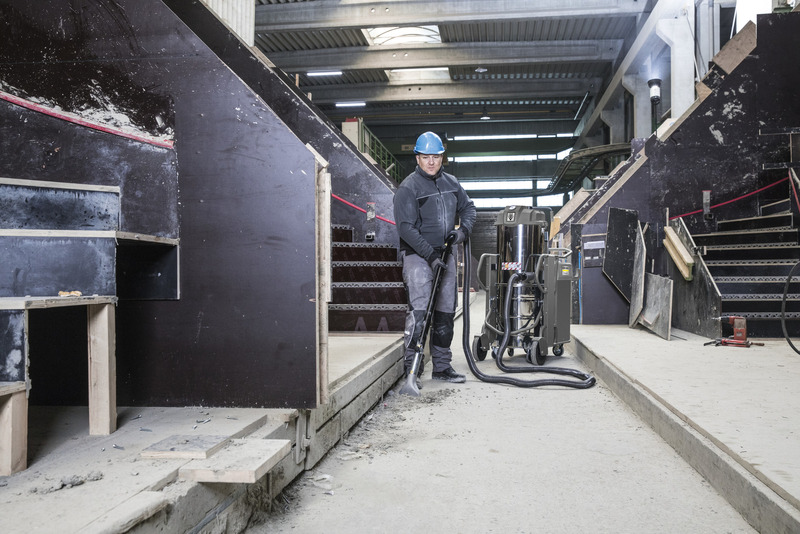 Suitable for both mobile and stationary continuous use, our IVS 100/55 M super-class industrial vacuum is suitable for safely vacuuming very large quantities of fine dusts that are hazardous to health. Certified for dust class M and energy-efficient (IE2), the vacuum cleaner also impresses with its strong three-phase motor and high-performance 5.5 kW side channel blower. Thanks to the integrated soft start-up function, it can even be easily operated using any conventional 16-amp industrial power socket. For maximum mobility, there are various storage options available for housing accessories. The large 16-pleated star filter takes up very little space and is reliably cleaned by means of a horizontal filter shaker. 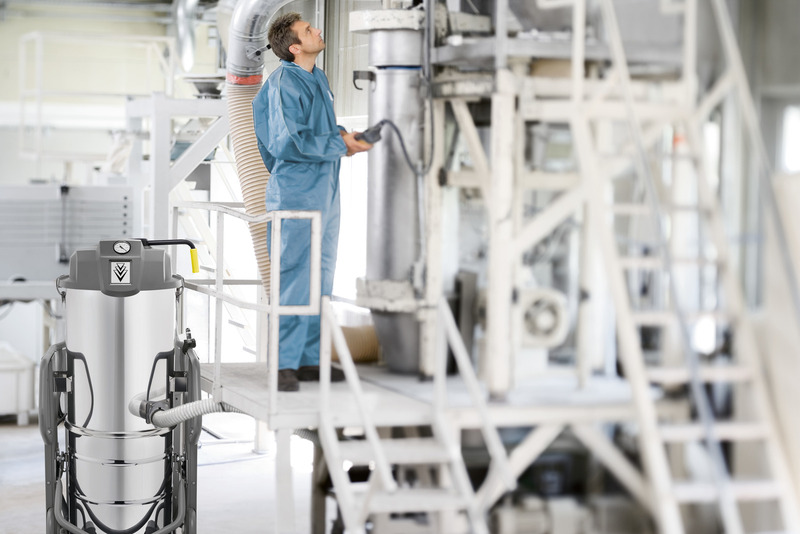 A gearbox consistently ensures optimum cleaning results, regardless of the force applied, and is therefore extremely convenient for the user. Likewise, the set-down mechanism of the 100-litre stainless steel container makes it easier for the user to empty it. The optional remote control for switching the machine on and off from a distance of up to 30 m also demonstrates the user-friendliness of the IVS 100/55 M.